One of the best things about a small and simple home design is that it's a very flexible look. The most modern, minimalist design can look quite cosy when whittled down to modest proportions. Similarly, a totally cute and cosy rustic style can be created with just one or two traditional details. But the biggest benefits are really seen in an apartment. 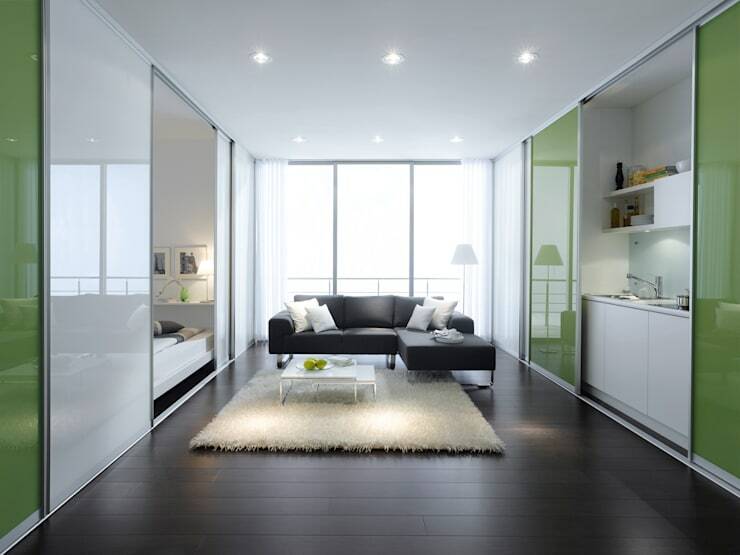 Here a small and simple design can make an apartment feel spacious and open. So in honour of all things modest and beautiful, today we will take you on a tour of 10 small and simple homes you'll love. They range from modern, to rustic and we've included a good collection of small home facades and interiors. Enjoy! This single-level home has a very basic and straightforward design. 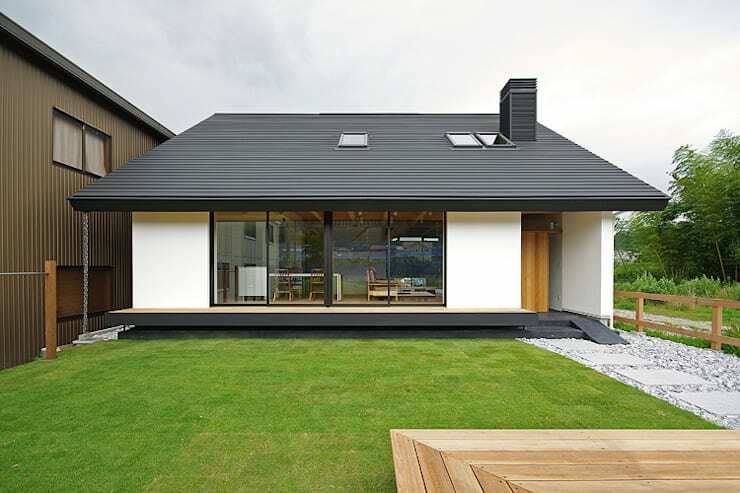 But the dramatic contrast between the heavy black roof and transparent glass walls creates a striking effect. 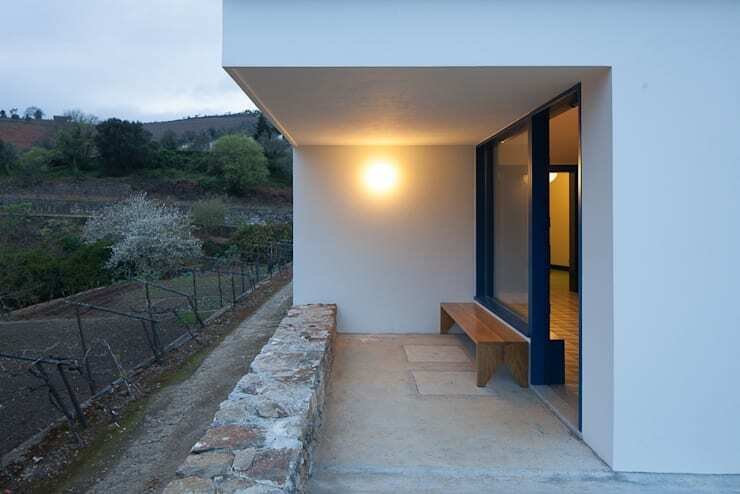 This cottage has a gorgeous view of the Portuguese countryside. The terrace we see here is the prime viewing area. It also doubles as an entrance and leads directly into the big combined kitchen and living area. 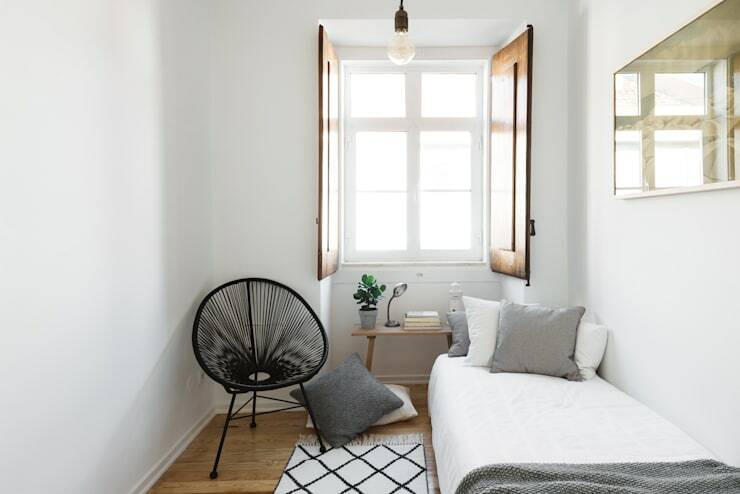 If you are looking for small and simple designs, you'll love this Spanish home. The super bright feel is perfectly energised by striking geometric patterns and a monochromatic colour scheme. This little home has a front path that perfectly mirrors the shape of the front door. The entire front entrance is also beautifully covered in black galvanised steel. 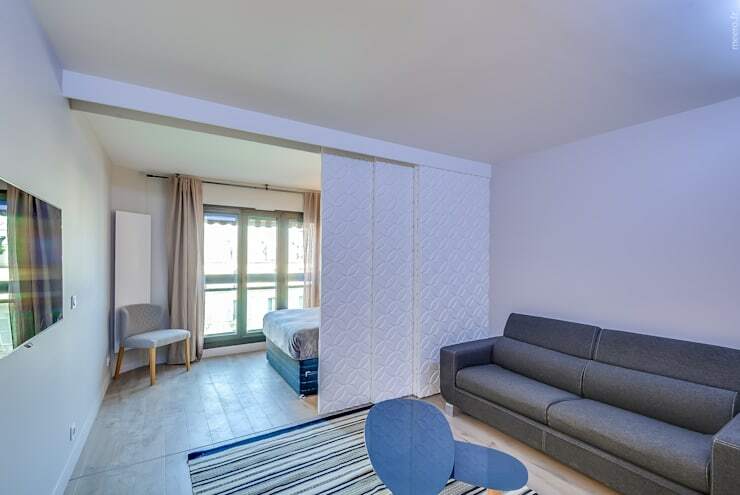 This small apartment is little more than one narrow space. This is definitely a space that comes with limitations. But the best thing about it is the clever use of partitions. Light flows into the windowless living room unimpeded. The architects had little choice but to keep it simple in this small home. It's little more than a corridor but it's been perfectly finished. The kitchen is set inside the wall to create unbroken lines of sight and the colour scheme is perfectly unified. 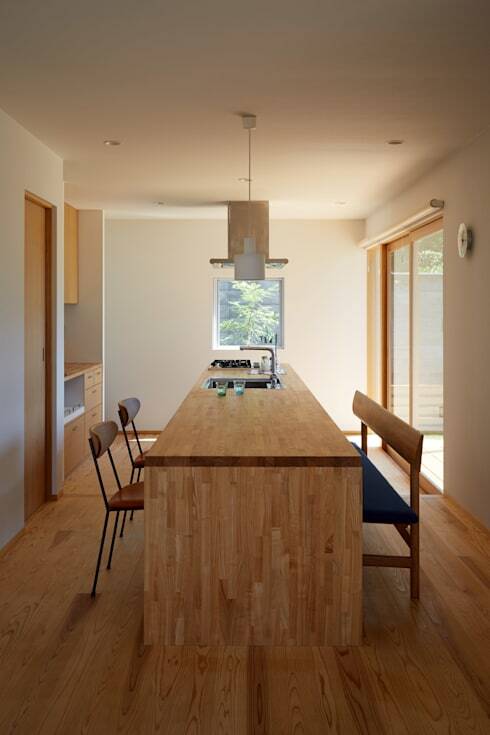 Simplicity is a very big part of Japanese design. In this little home, two volumes face each other in perfect symmetry. 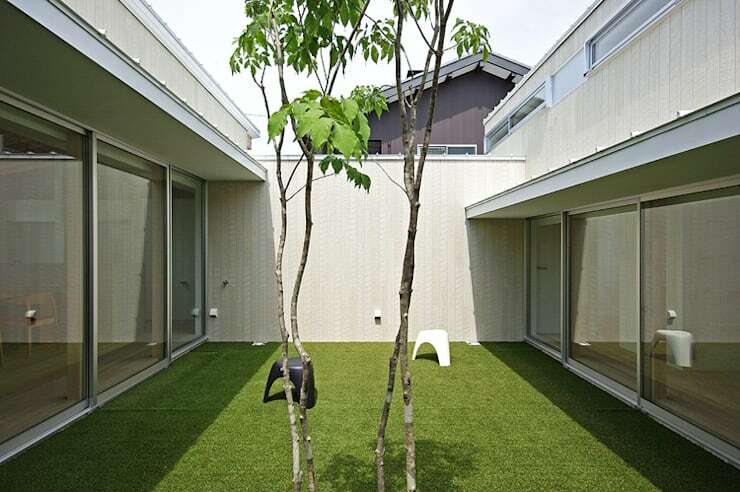 The negative space creates the opportunity for a very simple (and very private) courtyard garden. 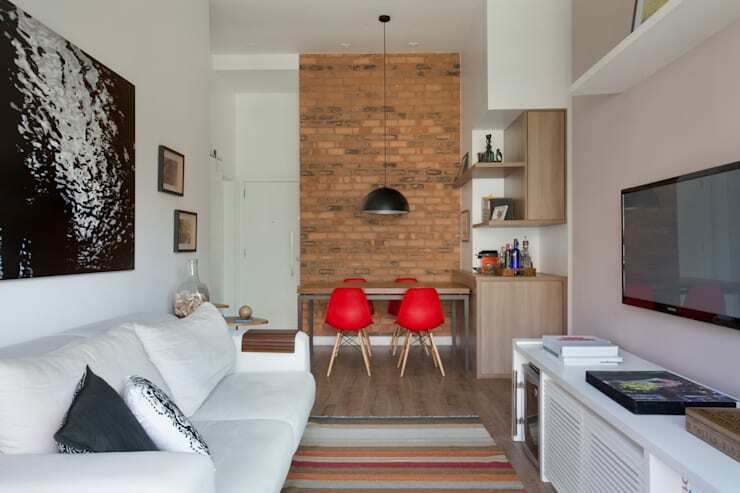 At first glance, this small living room appears small, but complex. But the basic design is incredibly simple. The secret lies in the clever use of a brick feature wall and bespoke cabinetry. 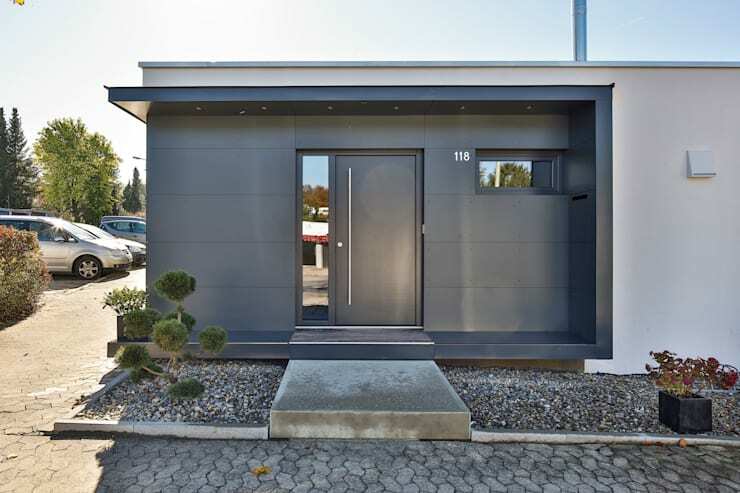 This small home would look incredibly small and simple when the glossy sliding doors are closed. 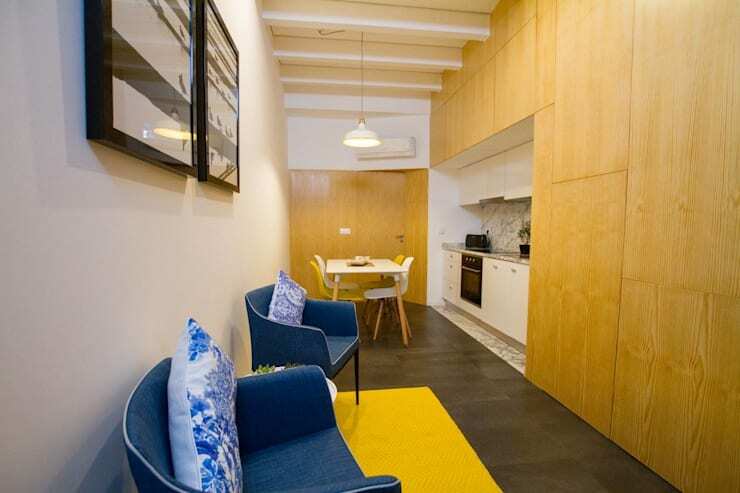 The bold apple green colour infuses the small home with a bright and energetic ambiance too. In this home, the seamless integration of bespoke furnishings and a wooden floor offer simple appeal. Our favourite feature here is the small square window on the far wall. It provides the perfect resting point for the eye. Lovers of all things simple should have a look at 10 steps to a beautifully Zen bathroom. Which of these modest homes is your favourite?